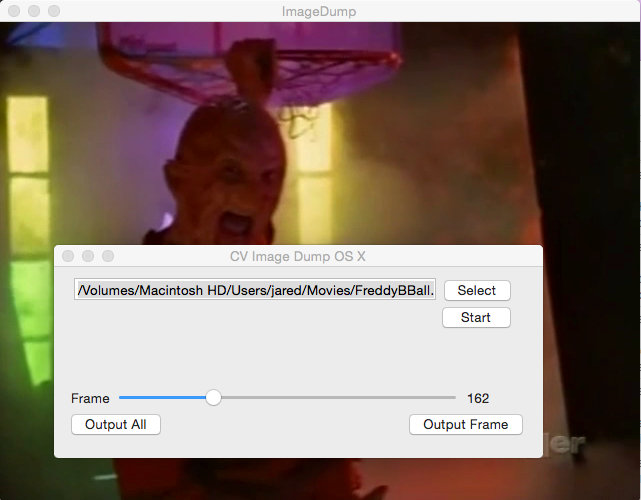 CV-ImageDump is a program that will let you capture any frame from a video file. Also it allows you to dump all frames to a folder indexed by frame number. Written in Objective-C++ using OpenCV.